Do School Counselors Make a Difference? What Do I Do If I Have a Stepsister and She Bullies Me? Conflict between parents can affect the whole family. For most people, family is a source of great joy. But when conflict arises, family turmoil can lead to depression, anxiety, resentment and fear. A variety of issues can cause conflict between relatives, including extramarital affairs, financial difficulties, poor communication and child-related hardships like infertility, disabilities or opposing parenting styles. Arguing from time to time is part of family life, but continuous conflict can damage relationships. Listening, compromising and seeking professional guidance when necessary can help families resolve problems. Infidelity causes some of the most serious family conflicts and can lead to separation or divorce. Lack of emotional support, intimacy, respect or admiration are common causes of infidelity. According to MaritalHealing.com, other reasons include loneliness, selfishness and feeling unfulfilled by parenthood. Cheating typically leads to deep pain and distrust. A partner who learns her spouse has been unfaithful usually feels betrayed, angry and even embarrassed. The legal ramifications of extramarital affairs can significantly impact children in the family, especially if a custody battle ensues. Extended family members who offer support may also be affected. Financial problems are one of the leading causes of divorce. A couple may feel overwhelmed by the amount of money they owe, which affects how much they can afford to do or buy for the family. 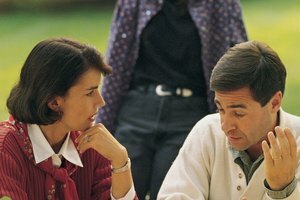 Financial stress can also occur when a husband and wife disagree about how, where or when money is spent. Other family conflicts arise as a result of unemployment. When someone is out of work for a long period of time, she might feel anxious, depressed or ashamed, and such negative emotions can fuel arguments with her spouse. The Huffington Post article "Divorce Causes: 5 Communication Habits That Lead To Divorce " describes several communication issues that can cause conflict, such as saying something you don't mean, doing the opposite of what you say, interrupting and focusing on the negative. 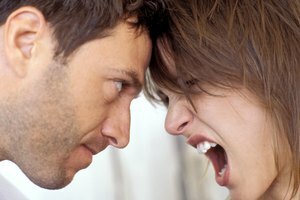 When couples or families fail to communicate effectively, arguments erupt more quickly and easily. Mixed messages and lack of understanding between couples or parents and children causes tension. The decision to have children is important and changes a person's life forever. While usually rewarding, parenting can also be complicated, stressful and tiring. Parental choices are critical, long-lasting and can lead to arguments. Conflict can occur when a couple is unable to conceive or when a man and woman disagree about whether to have children. Some conflicts happen because a couple conceives unexpectedly and is not prepared to have a family. Other problems related to parenting arise when a mother and father have conflicting parenting styles. 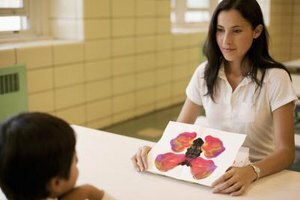 They might disagree about how to discipline their children or how to handle a physical, mental, emotional or learning disability in a child. In such situations, counseling can help resolve conflicts. Pancare, Rachel. "Types of Family Conflicts." Synonym, https://classroom.synonym.com/types-family-conflicts-10002.html. Accessed 19 April 2019.